Marko Arnautovic plays football on the edge. Throughout his career, the Austrian's undeniable talents have often been curtailed by his fiery personality. But after making his best start to a Premier League season, the West Ham forward appears to have matured with age and added responsibility. There were few positives to draw from West Ham's start to the season. The sense of optimism that surrounded the club after more than £120m worth of investment quickly evaporated when they lost their opening four games. But despite being rooted to the foot of the table, the form of Arnautovic has Hammers fans hoping that rosier times may be on the horizon. After all, the 29-year-old had given West Ham the lead against Bournemouth and Arsenal before successive second-half capitulations. Manuel Pellegrini saw Arnautovic's worth, handing him the captain's armband in the absence of Mark Noble, and despite tasting defeat on both occasions, the weight of expectancy and responsibility did not bear too heavy on the shoulders of the Austrian. "I am at an age now where I try to be a leader," he told Sky Sports' Patrick Davison in an exclusive interview. "The gaffer gave me the opportunity to lead the team on the pitch this year and Mark told me to take the opportunity to lead the guys." 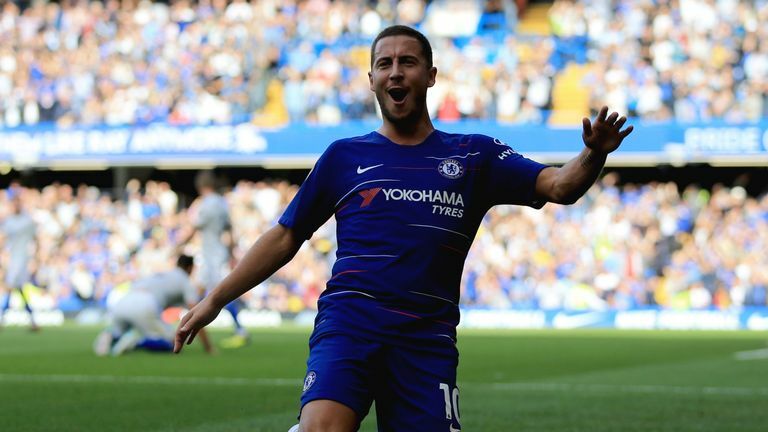 That is exactly what he did last Sunday at Goodison Park, helping deliver an overdue first win of the season with a goal and an assist against Everton. 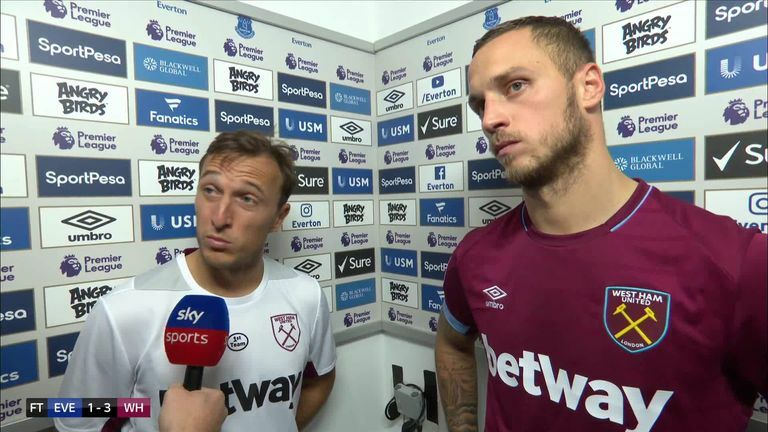 Noble captained the side on the trip to Merseyside, restoring a vocal presence to the dressing room, and while the figure-head role is one Arnautovic believes he can grow into with time, he is happy to let his football do the talking for the time being. "He's been here for such a long time, Mark. He's been captain for a long a time and knows how to deal with this team," Arnautovic said. "Mark knows how to say things, how to get a reaction and talk to the players ahead of games. "I don't really know this because I've never done it but I try to lead on the pitch with my quality and with goals and assists. "Like this I am leading the team but we have other leaders, everyone brings their own quality and experience and this is what makes a team, it's not only one guy. "You have one captain but, for me, it should be everyone who says something and help each other, then you can be a great team. "I've always been quiet in the dressing room before the game. I try to focus and give everything. One day you may need to talk if you are the captain but this is the job of Mark Noble at the moment." Don't be fooled into thinking that is evidence Arnautovic is shying away from responsibility. Instead, he has taken a different approach to leadership at West Ham, one that is fine-tuned to his attributes. An uncompromising character, if Arnautovic gets the best out of himself he demands the same from his team-mates. Nowhere was this more evident than at Goodison Park, the stage for a West Ham revival Arnautovic never doubted would materialise. "We knew something was coming because we have quality and trust in our quality," he added. "At the beginning we spent a lot of money and everybody expected us to win straight from the first game. "Our first game, we knew Liverpool were a top team and challenging for the title. The second one we had two different halves, the first was really good against Bournemouth and the second was not. "We played very well at Arsenal and should have won this game because we had a lot of chances that we didn't take. "It was not easy for our confidence to go to Everton away and to win comfortably, it was not easy, it was a hard game. But now we are building on this confidence that we won the game away." Arnautovic's leadership qualities came to the fore with Andriy Yarmolenko's seamless introduction to the starting XI. The Ukrainian scored twice on his first Premier League start, one of which was set up by Arnautovic, who took immense pride at his team-mate's blistering start. Marko has helped me settle, everyone has. When I came to West Ham I felt like I was at home. "I'm happy for him because the first four games he didn't start and just came in when it was 0-0 or we were losing, it's always hard for any player to change the game," Arnautovic said. "I'm happy he started at Everton and scored the two goals, I know what he can do, he's a top player and we all know this. He's got the first two goals and we're hoping they are not the last. "It was emotional. It was a relief for us, leading 2-0 at Goodison, we played well. For me personally I was very happy for him to score the second goal, it was an individual goal for him. He did it all himself, it was a brilliant goal. I'm the guy that's emotional." 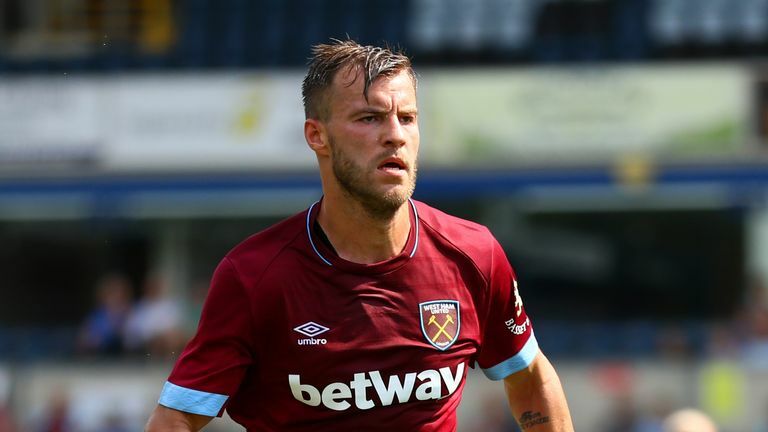 Manuel Pellegrini says there is more to come from Andriy Yarmolenko following his impressive display in West Ham's 3-1 win over Everton. 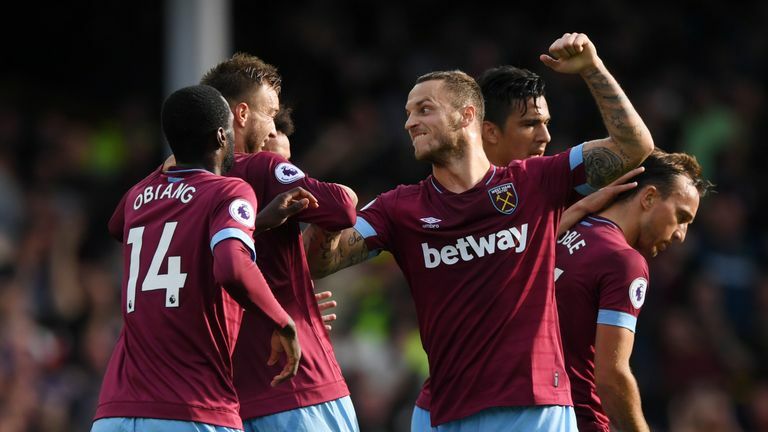 Chelsea may have won their opening five games and be genuine title challengers, but the time has come for Arnautovic and his team-mates to draw a line under their poor start to the season for the sake of their fans, he says. He's even willing to sacrifice personal acclaim for the cause. "We should pick some points up at home now because our fans are waiting for this," he added. "We can try and do this on Sunday. It's not going to be easy because Chelsea are challenging for the title but we are going to try everything. "I just don't want to do well, I want the team to do well. For me I don't if I don't score or assist if we win the game. We keep improving and I think we are going a good way." Watch West Ham v Chelsea live on Renault Super Sunday from 12.30pm on Sky Sports Premier League.